It is common for bed bug parasites to be present in hotel rooms at any stage of the year often existing unnoticed until the infestation levels swell and customer complaints are received. It is imperative for those operating within the hospitality sector to provide reactive and proactive pest control against bed bug infestations as failure to effectively address the issue poses a serious threat to both brand equity and reputation. PestGuard offers a proactive approach to bed bug control, maximising the daily inspections of housekeeping staff through the education of how to conduct a bed bug infestation inspection. PestGuard seminars and training packs (in multiple languages) provide housekeeping staff with the necessary skills to inspect and detect active bed bug infestations thus improving the possibility of early detection, treatment and containment of any possible infestation. PestGuard offers targeted spray treatments and heat treatment options designed to thoroughly treat each potential infested zone of a room to ensure complete eradication of current infestations. This is complimented by our 360 degree approach which incorporates spray treatments and inspections of adjoining rooms in order to contain the possible spread of infestation throughout the premises. Post treatment audit inspections are carried out to ensure efficiency of initial treatment and to prevent re-occurrence of infestation. PestGuard have developed a heat treatment program for bed bugs that controls and eradicates bed bug problems. It has no chemicals involved so treated rooms can be resold the same day. 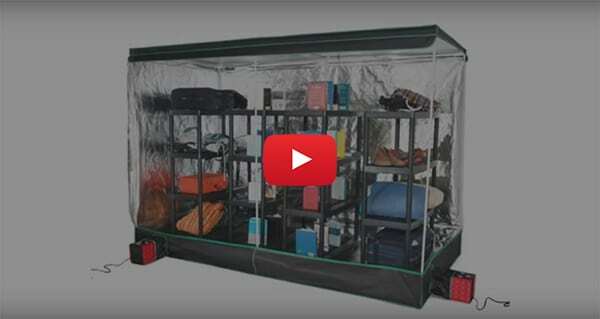 The ZappBug Room™ is a bed bug heat treatment chamber that uses a thermal chamber to exterminate bed bugs. It has the largest capacity of any portable bed bug heating system available on the market today, measuring at 80″ x 111″x 57.5″! Start bed bug treatment straight away! Treatment can begin immediately with our all natural bed bug heating system. Infested items do not need to be pre-treated with bed bug sprays, powders or other harmful pesticides. The ZappBug Room™ kills 100% of all bed bugs, in all life stages, including eggs, nymphs and adults as a non-toxic and all natural bed bug killer. The temperature typically ranges between 120 F and 155 F, which will kill all bed bugs and is safe for most belongings. The heaters are designed with safety in mind and have a tip-over safety feature. The ZappBug Room™ is designed to operate in residential or commercial locations using four separate 240v, 1500w power sources, and comes with included extension cords.